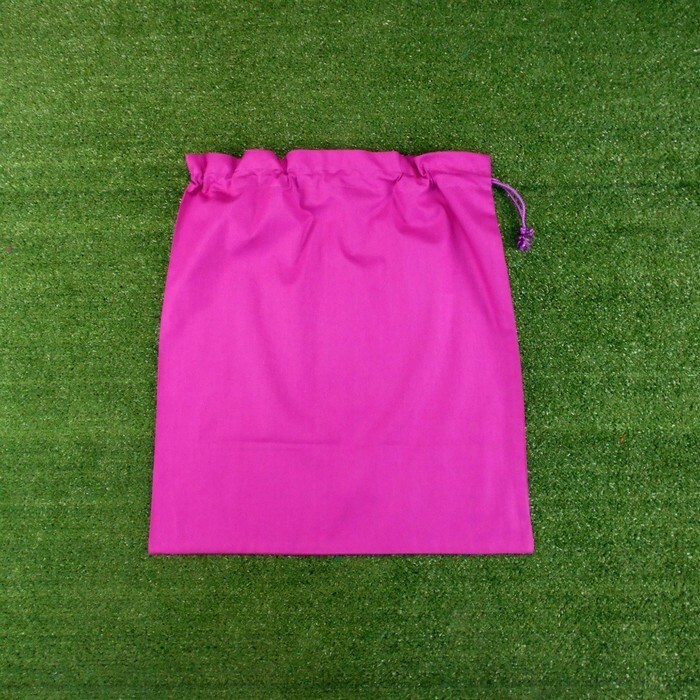 Available in red, bright yellow, bright blue, lime green, purple, royal blue, mid blue, light blue, fuchsia, dark pink, mid pink, light pink, apple green, bright orange, light orange and lemon yellow. Also in black and white, which are not shown in the main photo. I have tried to match the actual colour as closely as possible to the image colour, but please be aware that the colour may differ slightly. 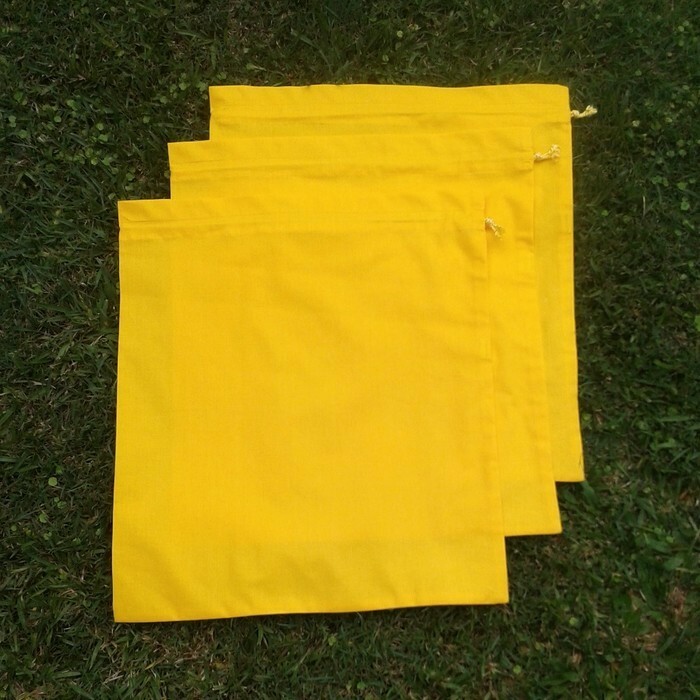 This listing is for THREE (3) bags of the same colour. Please contact me if you would like to purchase a different quantity of bags or a mixture of colours and I will make a custom listing for you. 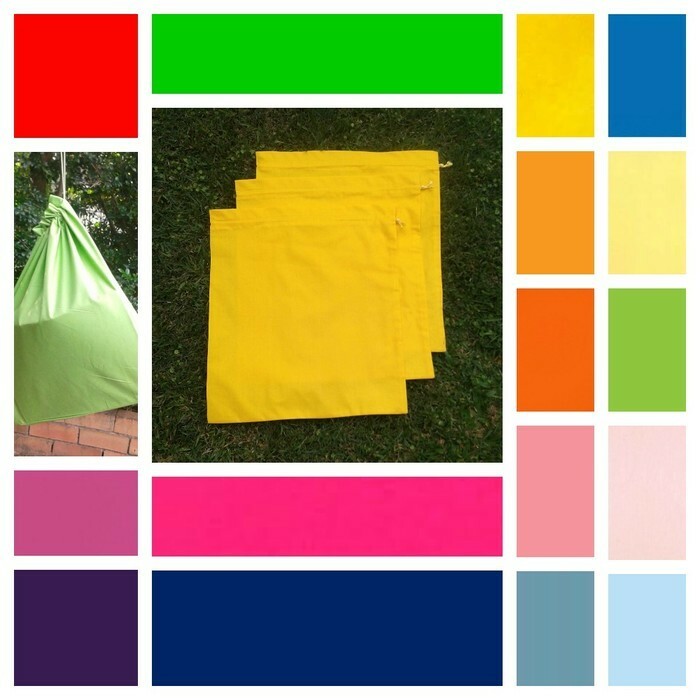 These bright and colourful large cotton drawstring bags have various uses in an early childhood educational or care setting or in the home. Use them to store books, toys, sports gear, stay overnight gear or clothing. Different colours could be used for different types of items. The large size measures 46 cm x 51 cm (18" x 20"). 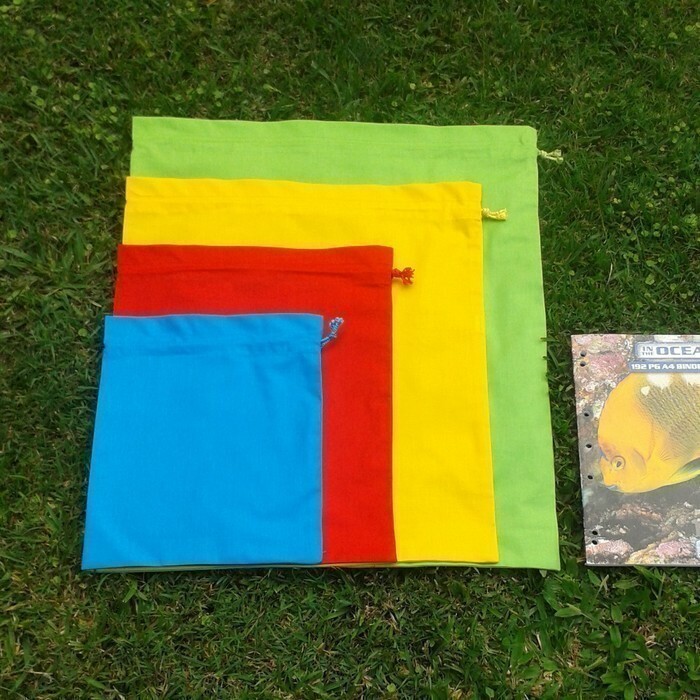 The final photo shows the relative sizes of my small, medium, large and extra large bags beside an A4 notebook. The yellow bag in this photo is in the large size. 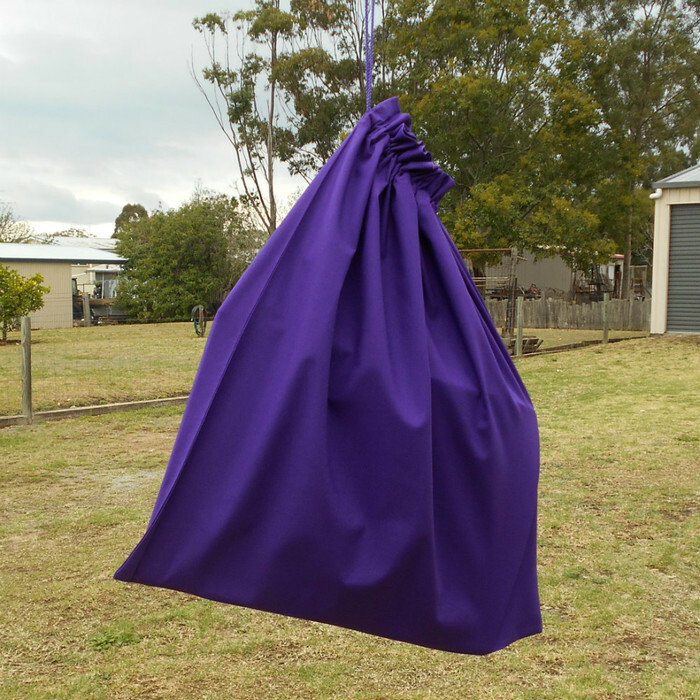 Made from medium weight 100% cotton homespun fabric with a rayon cord drawstring in a matching colour. 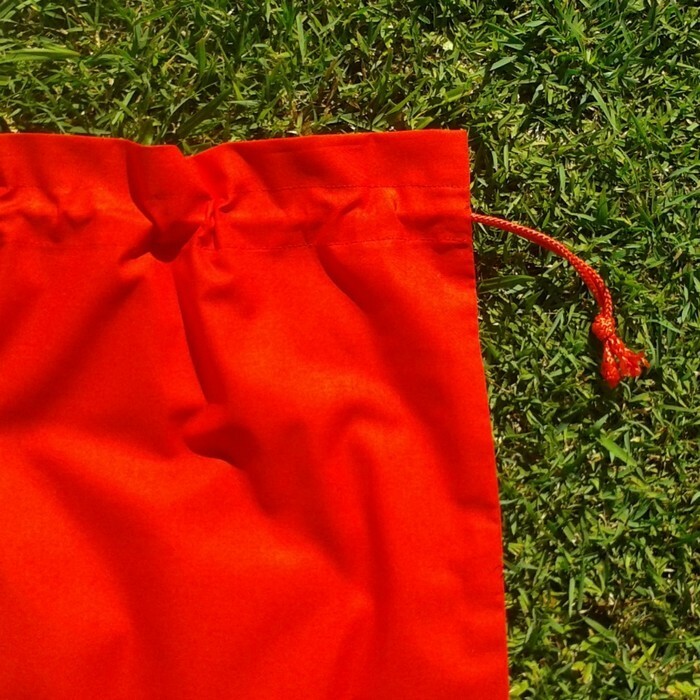 The top of the bag has a ruffled effect when the cord drawstring is pulled. Sturdy, neatly finished and machine washable. Please tell me in a message which colour you would like. I have other listings for single bags. You are welcome to contact me about other sizes, colours and quantities that are not listed. All bags are made to order by me in my home in Queensland, Australia. Please allow 2 working days before dispatch. The bags are not mass produced items. I always combine postage on multiple purchases and refund any overpaid amount. Please use your name as a reference for direct deposits to my bank account. Thank you.